Americans, particularly Californians, have had a love affair with the automobile. Countless movies from the 1950s and ’60s include scenes with young people gathered around as two drivers face off. In the movies, the victor gains honor and admiration (and, often, gets the girl), with the only injury coming in the form of a blow to the loser’s ego. Unfortunately, real life street racing in 2014 often ends in tragedy rather than victory. Street racing can cause serious accidents, leaving participants or bystanders facing catastrophic injuries or even death. Our San Francisco street racing crash lawyer is prepared to help people injured and/or families left mourning when this reckless pursuit has a tragic end. According to a San Francisco Chronicle report, Fairfield police have determined that street racing was to blame for the death of a motorist on Sunday afternoon. Sergeant Matt Bloesch told reporters that the incident began with a race between an Infiniti coupe and a Toyota Tundra pickup at around 5:15 P.M. As the racing drivers sped south along Lopes Road in Fairfield, Ron Brackett began turning left off of Canyon Hills Drive and onto northbound Lopes Road. The Infiniti slammed into the driver’s side of Brackett’s Mazda sedan. Brackett, a 31 year-old from Fairfield who was not involved in the race, was left dead at the scene. Authorities say the Infiniti driver was transported to the hospital with life-threatening injuries. His name has not been released. Police are seeking the driver of the Toyota who veered around the turning Mazda and then continued driving south on Lopes, speeding away from the crash. Sgt. Bloesch notes that alcohol was not a factor in the collision. Splashed throughout the website for the National Hot Rod Association (“NHRA”), an organization for people interested in drag racing, is the slogan: “Race the strip. Not the street.” This slogan is carried over onto a page dedicated to the danger of illegal street racing. The group cites a National Highway Traffic Safety Administration report saying that police has listed street racing as a factor in 135 fatal crashes in 2001, a startling increase from 72 deaths associated with street racing in 2000. Notably, the group further reports that the California Office of Traffic Safety said that there were more than 800 citations relating to illegal street racing issued statewide in 2001. 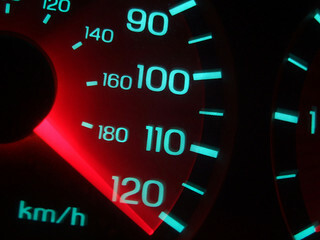 Data on street racing is extremely limited, as the title of a 2009 article in Traffic Injury Prevention makes evident: “Street Racing: A Neglected Research Area?” The study notes that the lack of data is due in part to the varied definitions used by different jurisdictions and also due to the difficulty police have in determining whether street racing contributed to a collision. Still, our own quick search on Google found countless news reports of injuries and deaths associated with street racing, leading our team to agree with the journal article’s conclusion that the neglected research area requires more attention. If street racing left you injured or claimed the life of a family member, our Northern California street racing victim’s lawyer can help you recover monetary damages from the person or people whose reckless actions caused the crash.